One of the initiatives that I'm interested in advancing in my corner of the globe is the idea of improving the new member experience. As far as I'm concerned there's few subjects more important to Freemasonry today. I've had a lot of conversations about this topic with a lot of Masons from all over the United States. It's not only a topic of interest in Blue Lodges, but also something that many of the appendant bodies are looking at as well--the Scottish Rite, the York Rite, the Shrine, etc. It's an important issue because it's at the center of another huge concern--retention of membership. We've all seen it. We get a petition, and the new member is excited about it. He becomes an Entered Apprentice, then a Fellow Craft, and finally is raised a Master Mason. He comes to a few meetings, and then we don't see him again. We don't know why. Maybe it wasn't what he thought it would be. He didn't get what he thought he would out of it. We tell ourselves it's certainly not our fault--Freemasonry isn't for everyone, and not everybody "gets" it. And it's just one guy, right? And so we move on. That's the wrong way to look at it. It's not just one guy we've lost when this happens. There's another thing I'm sure many of us have seen. That one guy that joins our Lodge, and gets active in it. He really, really enjoys it. He's talking about it, and his friend joins, and then his cousin, and then his uncle, and then the friend invites his friend, and the uncle invites a co-worker . . . next thing you know that one guy has his entire high school class and half his family petitioning the Lodge. I came in on a membership wave like that. In fact, the year I served as Master, nine of our twelve officers had been members five years or less. Three members came through together--they'd been friends since high school. You know one of them, he's Midnight Freemasons contributor Greg Knott. Almost every Lodge can improve that new member experience. There are a lot of things your Lodge can do, but there are three that I think almost everyone will agree on. So I'll talk briefly about those three things. This should start during his investigation. Find out why he wants to be a Freemason. Find out what his expectations are. Find out what he enjoys doing. Meet his family. Talk to them about the Fraternity and who we are and what we represent. We have to get to know our new members and make them part of our fellowship. Communicate with him. Let him know what the Lodge expects of its members as well. 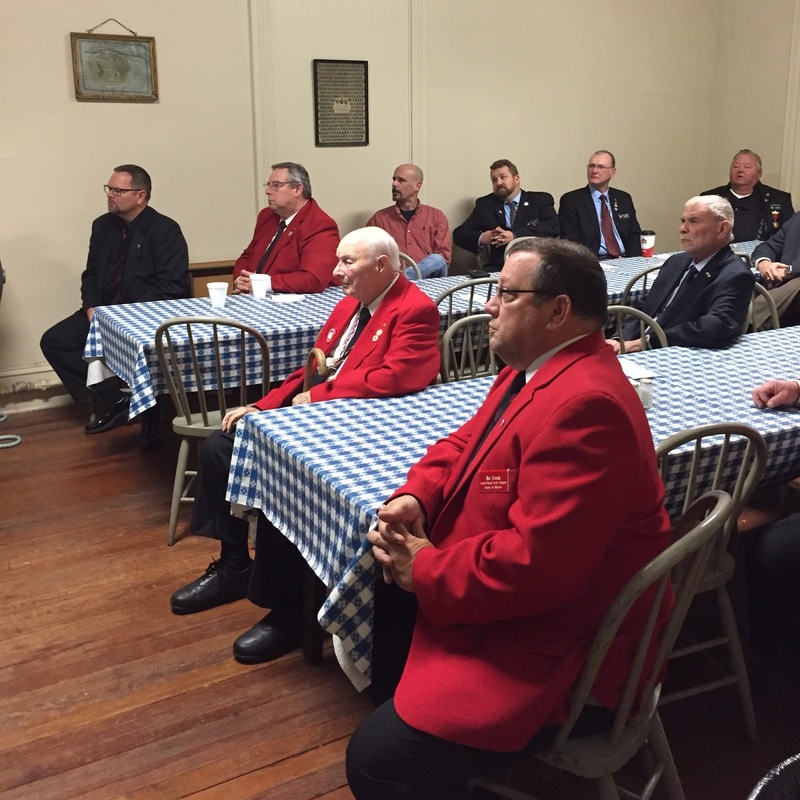 At my Lodge, we tell our potential members they can be as active as they want in our Lodge, but at a minimum, we'd like them to attend our monthly meetings and special events. Too many times a new members gets through all three degrees without a good idea of what he's actually going to be doing once he's a Master Mason. And that goes the other way, too. Very often the Lodge has no idea how much time that new member has, or how involved that new Master Mason wants to be either. If you get a young petitioner who is starting a career and a family, you have to understand that his family is going to come first. If you start putting a lot on him, you'll lose him. You have to communicate. 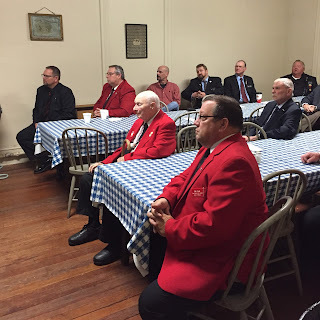 Not long after I was raised, actually the first meeting I attended as a Master Mason, I was approached by a group of officers in the lodge, and they wanted to know what I wanted to do in the Lodge--specifically if I wanted to try my hand at sitting in a chair. I started as Chaplain, and those officers taught me the things I needed to know, and the responsibilities of that position in detail. I knew what I was doing, was never embarrassed, and was never asked to sit in a chair I didn't know. Each time I advanced, I was taught all that I needed to know in order to do the job correctly (however, as the members of my Lodge would tell you, I did better in some chairs than others). When I made mistakes I wasn't ridiculed. If I put a foot wrong on the floor without realizing I'd made a mistake in the ritual, somebody would quietly correct me after the meeting. I always felt that my Brothers were there to help me, and I never felt as though I was being picked on when I made a mistake. During the monthly meetings when I first joined, the members would often stop and explain things to me. If they were talking about attending Grand Lodge, they'd stop for my benefit and tell me about the annual meeting. If we were planning a pancake breakfast, they'd stop and tell me how I might help and how often we had a breakfast like that. From the beginning I was made to feel like part of the group, and I became active from day one, and have stayed active. Five years later, I served as Master of that Lodge, and I knew exactly what I was doing because my Brothers had taken the time to mentor me. Freemasonry is more than just memorizing ritual. There is a lot there for a new member to learn. In my experience, Lodge education isn't something a lot of Lodges put enough focus on. It's something we're doing a better job at these days in my corner of the world. During our meetings we're learning about our Craft. We're learning about the working tools. We're learning how to put the principles of Freemasonry into use in our everyday lives. Our new members really enjoy it, but you know what? So do our old members! We've had some great discussions in our Lodges lately--and not just about fund raisers and bank account balances. Slowly we're starting to remember our primary goal, which is to make good men better. Our members really enjoy finding things to share with the Lodge--it's like show and tell for grownups. 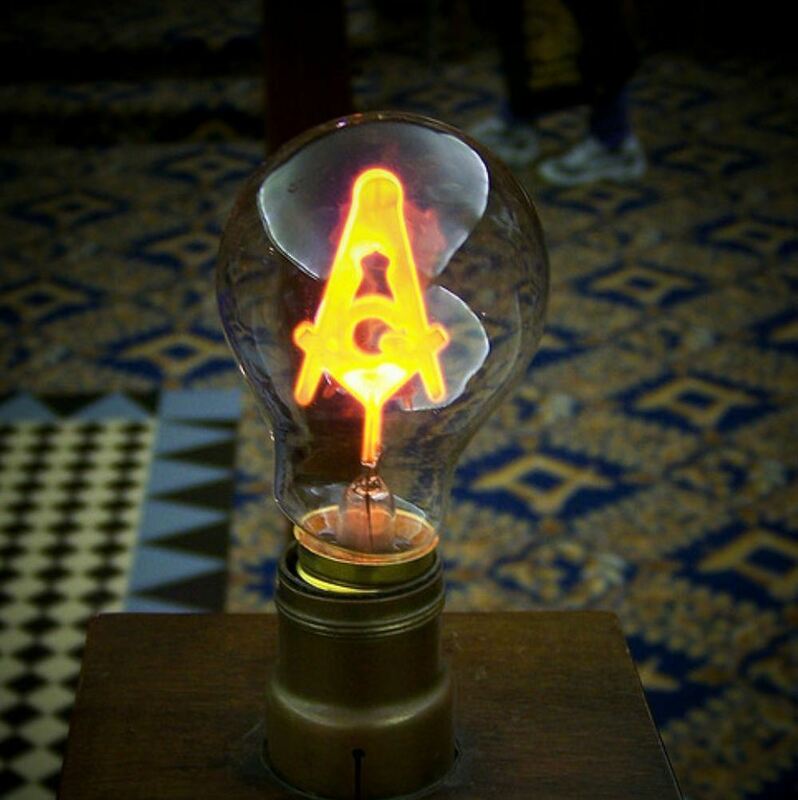 Making education a focus of our meetings has brought new energy into the Lodge. The members look forward to sharing things and learning things they didn't know. Many of our members never knew a tremendous amount about our Fraternity to begin with because education really wasn't a focus in many of our Lodges for many years. There's no question that education can enhance the new member, and the old member experience. It gives us all a deeper appreciation for our Fraternity, and it reminds us that our Lodge is more than just a social club--it's also supposed to be a place to learn and grow as men. One thing I think you'll find if you work on improving the new member experience, is that it not only helps you retain your new members and grow your Lodge, but you old members will enjoy their membership a lot more, too. They will enjoy teaching new members the things they've learned about the ritual. They enjoy sharing information about our Fraternity. They'll quickly make the transition from being a leader to a teacher and advisor. And as they see these new members learn and grow and begin to take a leadership role in the Lodge, they take solace in knowing that the Lodge is in good hands, and will continue to thrive for another generation. Why not try it? What have you got to lose . . . besides your new members? Reading through this I think a lot of it boils down to building relationships. Talking with new members, taking the time to mentor and educate them changes the perception of "going to Lodge," to "spending time with the guys." It's an important shift that once it happens you'll see that new member show up more and get more involved as he's there for the fellowship and brotherhood and not out of a sense of obligation.